Brighton boss Chris Hughton believes Wolves' strong start to the season is not down to luck and that they "thoroughly deserve" their Premier League points tally. Nuno Espirito Santo's side, who were promoted as Sky Bet Championship champions in the summer, sit ninth in the table with four wins and have held Manchester City and Manchester United to draws in this campaign. Wolves travel to the Amex Stadium on Saturday - having lost 2-0 at home to Watford last week - and Brighton manager Hughton, who led his side to a 1-0 away victory at Newcastle last time out, is expecting a difficult game. "They're not a side who've had the start where you think they've been a bit fortunate," he said. "No, I don't think they have. "I think they thoroughly deserve the points they have got. They've obviously had some big results, and I think they're a team that will do well this season. 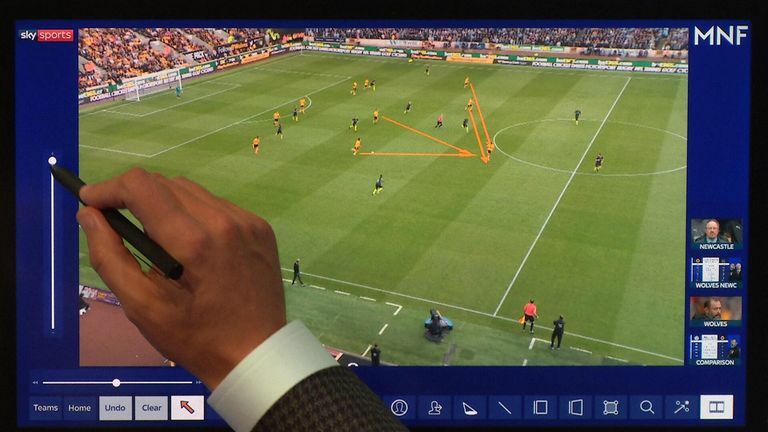 "Whenever a newly promoted team comes into the league it can be a bit of an unknown. "Their strength has been the core of the team that's stayed together and they have good offensive options." Brighton will be without injured pair Davy Propper and Pascal Gross at the weekend, while the Seagulls will make a late call on Glenn Murray, who was knocked unconscious on Saturday at St James' Park. "We've gone through the correct protocol with Glenn and so now we have to make a decision on him today," Hughton added. "You always want everyone fit - but you never take anything away from the squad that we have." 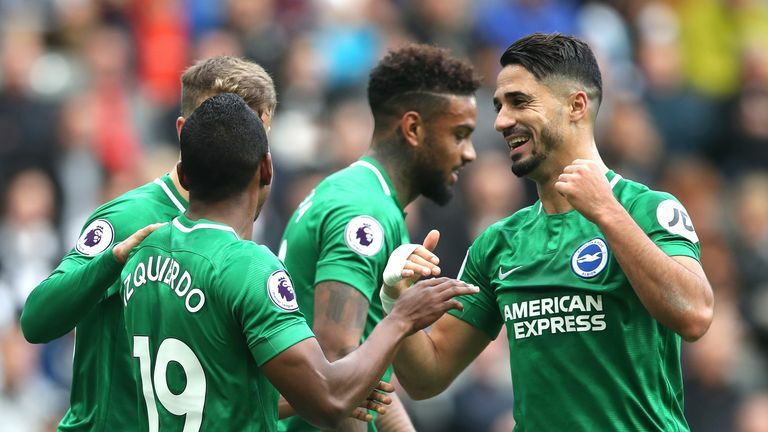 The Seagulls, currently 12th in the Premier League, have impressed defensively over the last two matches, keeping two clean sheets in back-to-back 1-0 victories. "Last weekend's clean sheet was probably a consequence of the one the week before against West Ham - it's good to be able to see the side keeping them again," he said. "Saturday's victory [over Newcastle] was significant because of the opposition's league position - we soaked up a lot of pressure throughout and we had to defend very well. "Lewis [Dunk] and Shane [Duffy] have played a lot of games together and that's really helped them. They've been consistent. "We haven't changed too much over the last two matches but we've spoken about the foundation of the side and keeping a clean sheet - it's tough to do that in this division."